RuneHUD is a simple addon that moves the runes of your DK to make them a HUD (Heads Up Display). The runes are click through which means they don't intercept mouse clicks. It also has a minimalistic bar showing your current ronic power. RuneHUD have OmniCC support and will be hidden when in a vehicle! Winterwind - Helping me beta test and finding all the bugs I created. Small esthetic updated to the option frame with additional behind the scene updates. Update version file for patch 8.1. Added an option for the entire rune frame's vertical position. Fixed a bug with the options frame if opened by a class other than a DK. Also small optimizations for other classes. Fixed a bug with the punic power bar not updating max runic power when changing spec. Fixing a bug with the runic power bar displaying upon login despite being disabled. Bugfix + slight rearrangement of the options window. Fixed a bug that happened when leaving a vehicle. Changed font of the runic power bar to Arial Narrow and fixed a rare bug with the font size. New options for different alphas in and out of combat on the runic power bar. Cleaned up the code a bit, removing unnecessary stuff. Fixing bugs with the new runes. Bumping up the .toc for patch 7.2. Updated the .toc for patch 7.1. Fixed a bug with the Runic Power bar not updating max value after switching talents. Slightly optimized loading sequence and fixed yet another "vehicle thingy" (not really a bug). Fixed a bug with the runic power bar not hiding/showing when entering and leaving a vehicle. Also changed so the hiding/showing of the runes and runic power bar to matches the vehicle UI. NEW: A graphical user interface has been added, access it with "/rh" or "/runehud"
Completely reworked the code to be more efficient (and easier to understand as a bonus). Updated the toc-file for 6.2. Undid the fix for the bug with the cooldown spiral since blizzard fixed the bug in 6.1. Updated the toc-file for 6.1. Fixed an issue with the RuneFrame being on top of the garrsion frame and fixed an issue where the cooldown spiral would seem to disappear if you out of combat alpha was too high. The fix to the cooldown spiral will make it look a bit more/less transparent than before depending on the alpha out of combat you use. If you're just using the standard setting it will still look the same though. Fixed an issue that could make the runes show up on other classes than Death Knights if you had certain addons installed. Implemented a fix to show the runeframe when on the mount from garrison stables. Once again shows the runeframe when in a vehicle if so desired! Fixes an issue with the alpha slash commands not updating the alpha before entering or leaving combat. 6.0: Update for WoD and 6.0, this version will only work with 6.0! 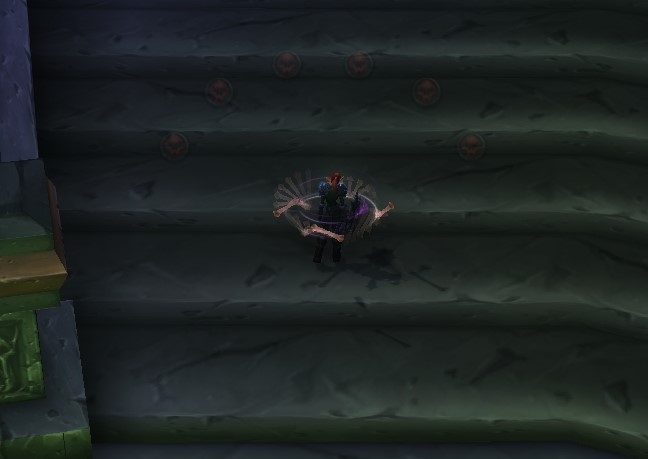 Fixed the cooldownspiral for the new animation system in WoD and removed some old obsolete code. Still just another toc bump to keep people from complaining about it being out of date! Fixed a bug with the fading option. Fixed a minor bug with vehicles. Slash commands added! See Description page for more info. Updated the toc file to make is up to date with patch 3.2. Fixed a bug with runes fading even when disabled. 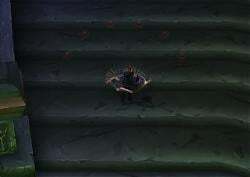 The individual runes now fade when on cooldown. Check the lua file or the addon info page for information on how to turn this off. The lua file now has a config part at the top of the file to make it easier to configure. Fixed the issue making the runes not disappear when entering a vehicle. Fixed a bug which changed the scale of the RuneFrame when exiting a vehicle and the RuneHUD will now be hidden while in a vehicle. Made it -zip instead of .rar to make it work with the WoWInterface UI Manager. I quite like this addon, works real well with my pvp UI, don't mind if I add this to BobHUD do ya? Not going to change it outside of a couple positioning things to make it match a bit better. Seems to be a bug when using RuneHud in combination with shadowed unit frames. 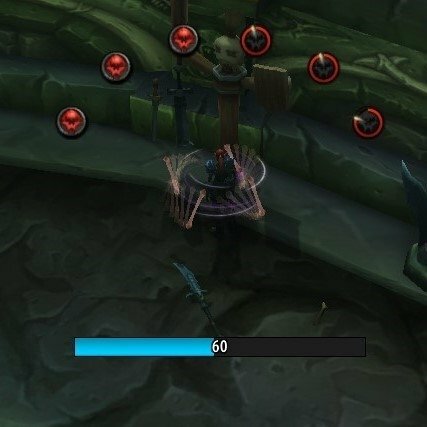 I have rune bar disabled with suf and the runehud is showing up but all 6 runes show up as blood runes and they don't change when on CD. Just staring at 6 blood runes on full with every swing. First I've ever heard about this, I'll check into it when I get home from work. Hopefully it will be an easy fix. Turning off Blizz bars fixed the problem for me completely, thanks. I've got an idea..a thought..I'm not even sure if I really like it..but I'm just talking :-) heh..
Have you ever considered adding Runic Power display into RuneHUD? I don't need all the bloat that comes with IceHUD..I don't use Scrolling Combat Text or MSBT or any of that either.. Anyway I was thinking it'd be neat to see runic power as a bar beneath the runes maybe..in the same sort of half circle form.. So I've got a problem that appeared awhile ago too..haven't played my death knight in awhile so maybe that's just how the addon is by default now..but I want to know how to change it..
Config. > Modules > Hide Blizzard frames > UNCHECK "Rune bar"
Config. > Modules > Runes > UNCHECK "Enable"
Have you tried what I quoted earlier? Because RuneHUD worked just fine when I did that for me. And if it doesn't I'll need somemore info on what could cause it, i.e. have you modified the RuneHUD.lua file in anyway and if you can think of anything you've done in PitBull that could mess with RuneHUD. You are amongst the list of reasons I don't want to have a daughter. That's strange, worked fine for me. Have you modified the RuneHUD.lua file in any way? Like changed something in the config part or even something in the functions? I've made a post about it in the PitBull4 thread over at wowace hoping for an answer on how to fix this issue. I just tested this with PitBull4 and it is indeed what removed RuneHUD. I found the option and unchecked it/restarted WoW... but all I'm getting is the default WoW runebar in the top left corner of the screen. Doesnt seem to be fixing the problem. I've tried 2 other rune mods similar to yours and 1 works and the other has the same problem... but I like yours the best so hopefully it gets resolved soon. Same here, I just switched from Pitbull 3 to 4 and now RundHUD isn't showing up. Last edited by Ereki : 08-20-09 at 10:19 AM.